A few of us spent a lovely morning at Recreo Coffee & Roasterie, a local coffee shop which opened recently near the RainyDayMagazine office. El Recreo Estate Coffee, Inc. is a family operation that offers their own homegrown premium Nicaraguan coffee while practicing social and environmental stewardship. BTW, the “bold” blend was rich and smooth and the pastry offerings were delicious!!! Now we like Starbucks as much as the next person, but given the choice between a huge corporation and a family farm, it’s a no-brainer. 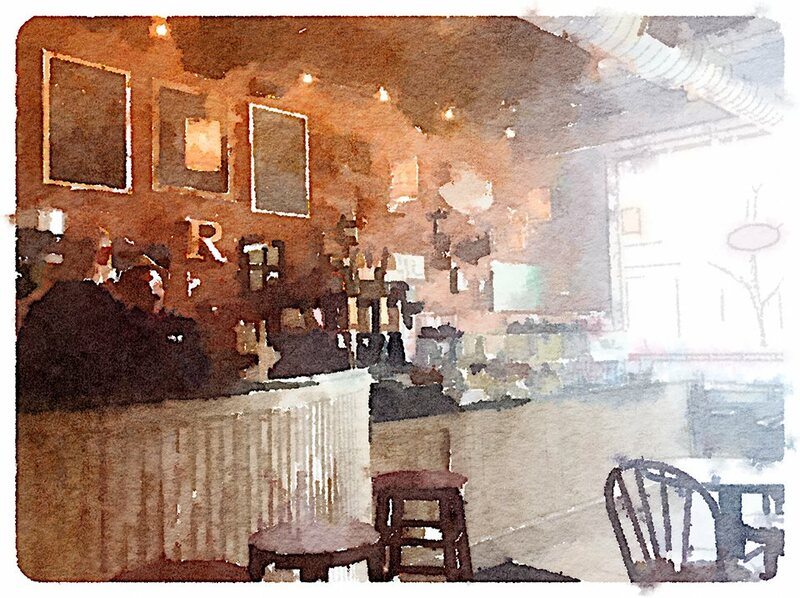 We’ll be bringing our laptops to Recreo (nice light, free WiFi) more often then not. 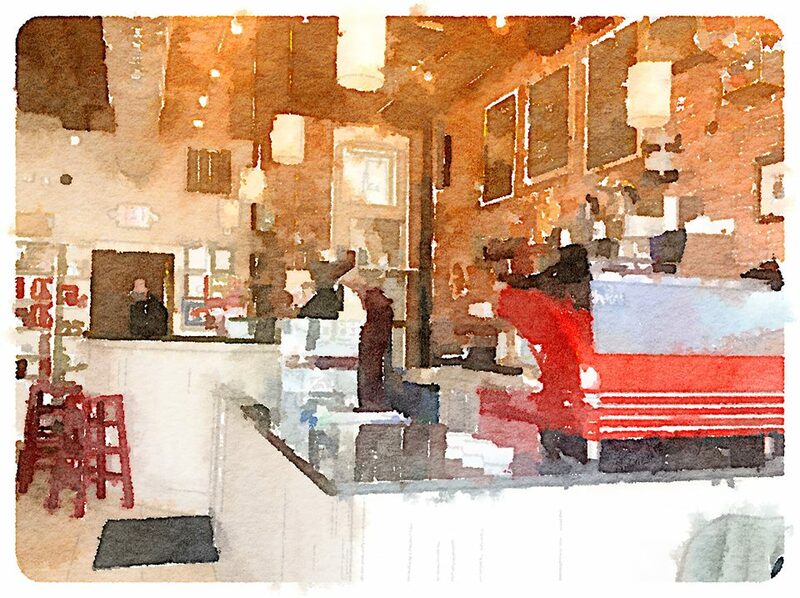 NOTE: The photos were taken with an iPad mini Retina and processed using the Waterlogue app.